This chalkboard menu is truly elegance epitomized ! 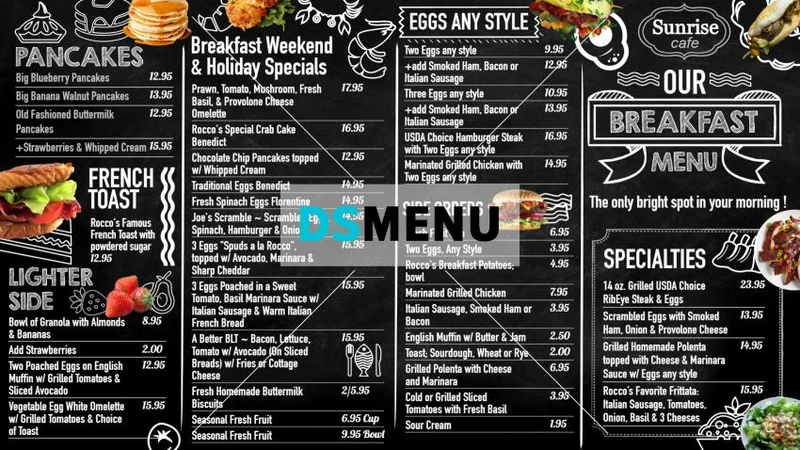 The graphics on the edges of the menu board add to the elegance. On a digital platform this template and menu will be a real sell-out ! The restaurateur also has the choice to update his menu at real times given his stock positions and customer preferences. A great one , this !